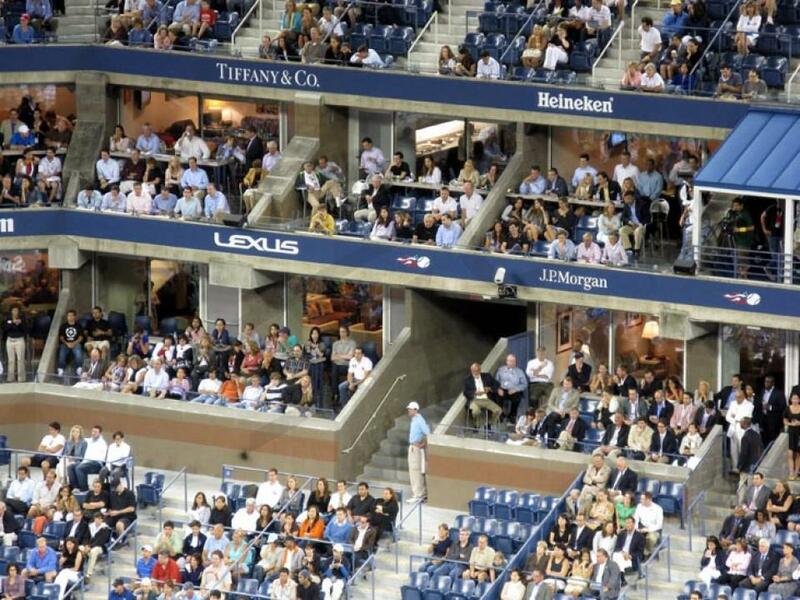 How much do US Open Tennis Championship suites cost? Pricing for suites for the US Open Tennis Championship will vary based on the session. Suites are typically sold on a session-by-session basis. Sessions can range in price from $15,000 to $120,000. 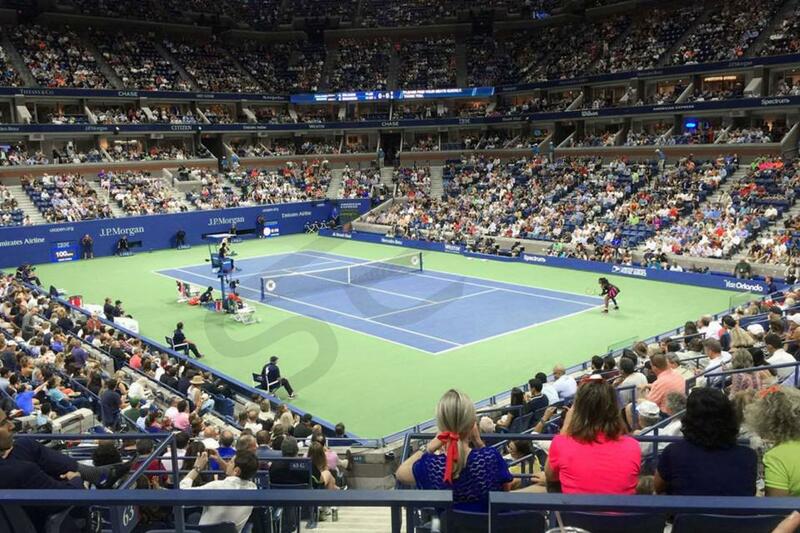 The average luxury box in Arthur Ashe Stadium will sell between $21,000 - $35,000. Semi-Final and Final sessions can be priced upwards of $120,000. While it is not the case always, day sessions are often priced cheaper than evening sessions. Arthur Ashe Stadium offers fantastic views from each suite level. The US Open suite levels are stacked on top of each other. US Open suites feature HDTVs, premium seating just outside the suite, interior lounge seating, in-suite catering options and a dedicated suite attendant. A US Open suite is perfect to avoid humidity or rain. Arthur Ashe Stadium offers fantastic views from each suite level. The 200 Suite Level is stacked just on top of 100 Level suites. 200 Level Suites feature HDTVs, premium seating just outside the suite, interior lounge seating, and premium in-suite catering options. Suites are serviced by a dedicated suite attendant. The 2018 U.S. Open Tennis Championship will be from August 27 – September 9, 2018. The U.S. Open is America’s biggest tennis event and one of the most exciting tennis tournaments worldwide. It’s also the last grand slam event of the season for the best players in the world. This event is prime for client and employee entertainment. Luxury suites can be rented on a session-by-session basis at Arthur Ashe Stadium. 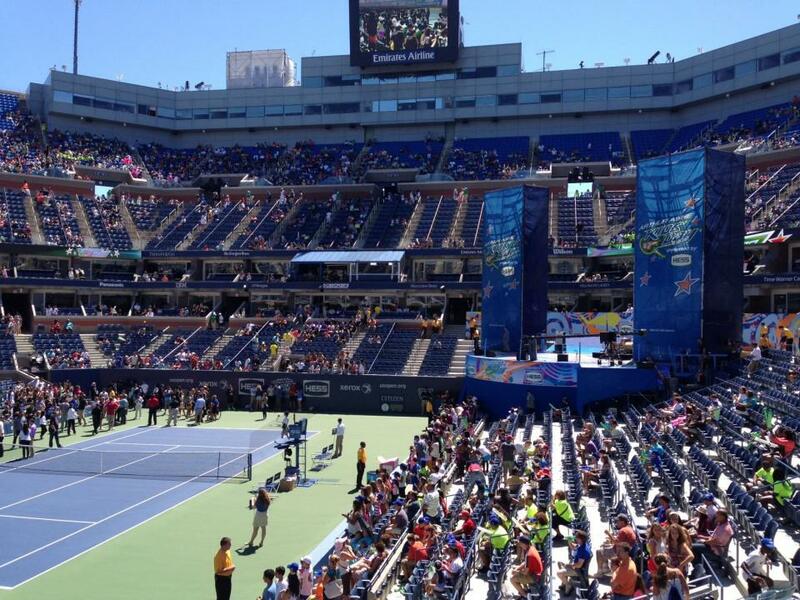 Arthur Ashe Stadium is part of the USTA Billie Jean King National Tennis Center in Flushing Meadows-Corona Park. There are a total of 24 sessions over the course of the tournament, with the first 20 sessions of the U.S. Open featuring both a day and a night session. For these sessions, you can rent a private suite for just one session if you would like. The following four sessions will be over the course of four days featuring the men’s and women’s semifinal and final matches. Spectators can expect to see the world’s greatest tennis players on display at the 2018 U.S. Open Tennis Championship. In 2017, Sloane Stephens won her first Grand Slam title by defeating Madison Keys in the final round. Sloane Stephens truly pulled off an upset for the ages, as she was ranked just 83rd entering the U.S. Open. For the men’s tournament, Rafael Nadal beat Kevin Anderson, taking home his 16th career Grand Slam title. 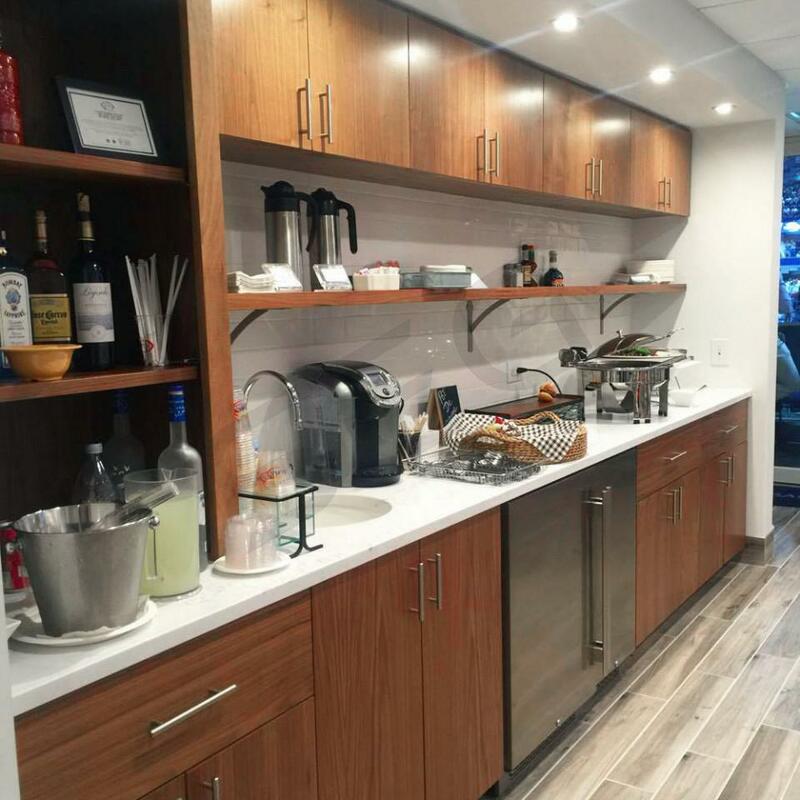 With an Arthur Ashe Stadium suite, guests will get a VIP experience featuring first class amenities such as HDTVS, in-suite catering options, upscale furnishing, premium seating both inside and outside the suite, and a dedicated suite attendant. The US Open is no stranger to rain and humidity, so with a luxury box your guests will be inside a climate-controlled environment in case of any bad weather. Along with your suite ticket, guests will have exclusive access to Arthur Ashe Stadium lounges. Watching the U.S. Open in VIP style is the perfect event to treat your clients to. The 2017 US Open Tennis Championship will be from August 28 – September 10, 2017. The US Open is America’s biggest tennis event and one of the most exciting tennis tournaments worldwide. It’s also the last grand slam event of the season for the best players in the world. This event is prime for client and employee entertainment. Luxury suites can be rented on a session-by-session basis in Arthur Ashe Stadium. Arthur Ashe Stadium is part of the USTA Billie Jean King National Tennis Center in Flushing Meadows-Corona Park. There is a total of 24 sessions over the course of the tournament. The first 20 sessions of the US Open feature a day and a night session. For these sessions, you can rent a private suite for just one session if you would like. The following four sessions will be over the course of four days featuring the men’s and women’s semifinals and final matches. Spectators can expect to see the world’s highest ranked players at the US Open Tennis Championship. In 2016, the world watched Stan Wawrinka upset Novak Djokovic to win the men’s side. Angelique Kerber took the crown on the women’s side and in the process, took over the number-one ranking in the world. From an Arthur Ashe Stadium suite, guests can will get a VIP experience featuring first-class amenities like HDTVS, in-suite catering options, upscale furnishing, premium seating both inside and outside the suite and a dedicated suite attendant will be on hand to help you throughout the day. The US Open is no stranger to rain and humidity, so with a luxury box your guests will be inside a climate-controlled environment in case of any bad weather. Along with your suite ticket, guests will have exclusive access to Arthur Ashe Stadium lounges. The 2015 US Open Tennis Championship gets underway August 31, 2015. The 14-day schedule will lead up to the men’s championship match on September 13, 2015. The US Open Tennis Championship is America’s biggest tennis event and one of the most exciting tennis tournaments in the world. The 135th US Open Tennis Championship will feature the best men and women players in the world. For the men you will see Rafael Nadal, Novak Djokovic, Roger Federer, Andy Murray, Kei Nishikori, David Ferrer, Marin Cilic, Milos Raonic and Stan Wawrinka. For the women you will see Serena Williams, Venus Williams, Maria Sharapova, Caroline Wozniacki, Petra Kvitova, Simona Halep, Ana Ivanovic, Andrea Petkovic and Eugenie Bouchard. In 2014, Marin Cilic defeated Kei Nishikori to win his first major final. Both Cilic and Nishikori defeated Novak Djokovic and Roger Federer to reach the finals. For the women in 2014, Serena Williams defeated Caroline Wozniacki to win the US Open Championship. Williams did not lose a set in the entire tournament. Arthur Ashe Stadium is the main stadium for the US Open. Arthur Ashe Stadium is part of the USTA Billie Jean King National Tennis Center located in Flushing Meadows-Corona Park. 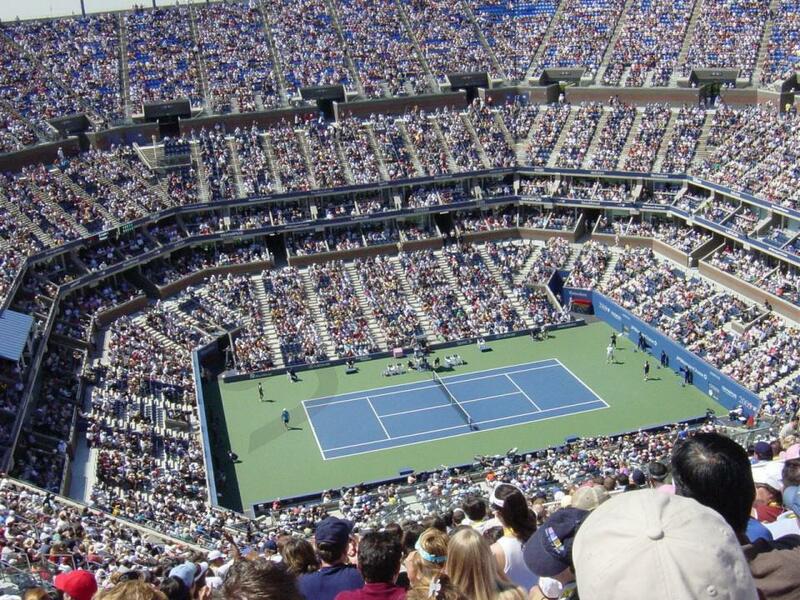 Arthur Ashe Stadium is the largest tennis stadium in the world, with a seating capacity of over 22,500. 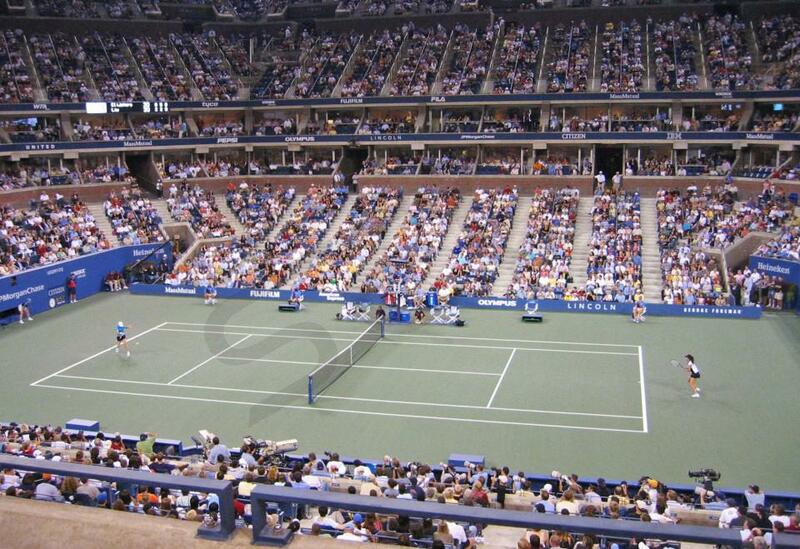 There will be 24 sessions played at Arthur Ashe Stadium during the 2-week US Open Tennis Championship. You can choose to watch the first session of the day or the later session in the evening through the first 20 sessions. The next four sessions will be the men’s and women’s semi-finals and final matches. Watch the best tennis players in the world from a private luxury suite at Arthur Ashe Stadium. 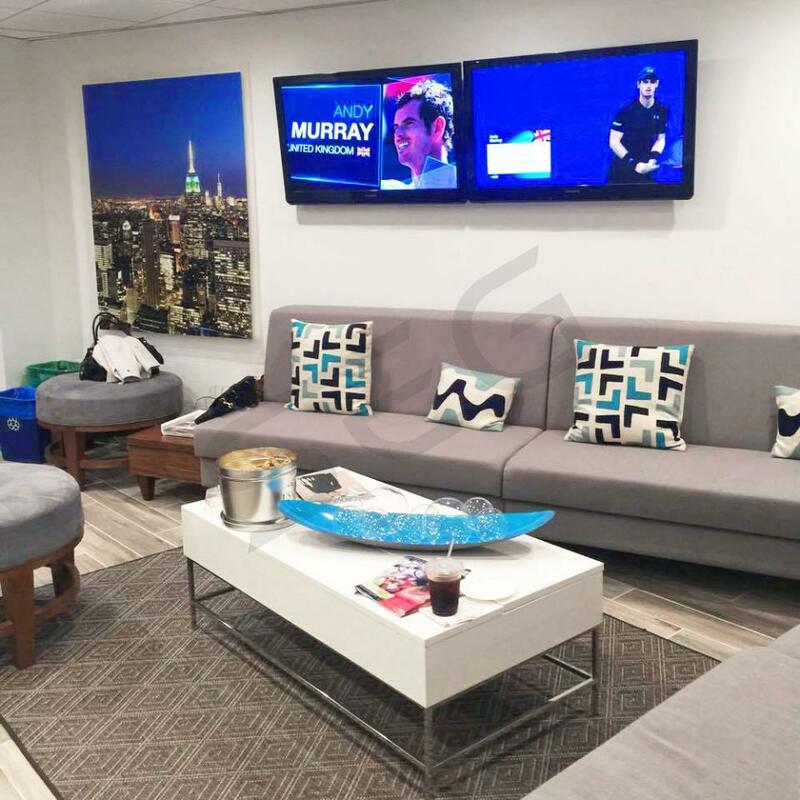 US Open Tennis suites feature first-class amenities such as HDTVS, premium seating both inside and outside of your suite, in-suite catering options, upscale furnishing and a dedicated suite attendant. 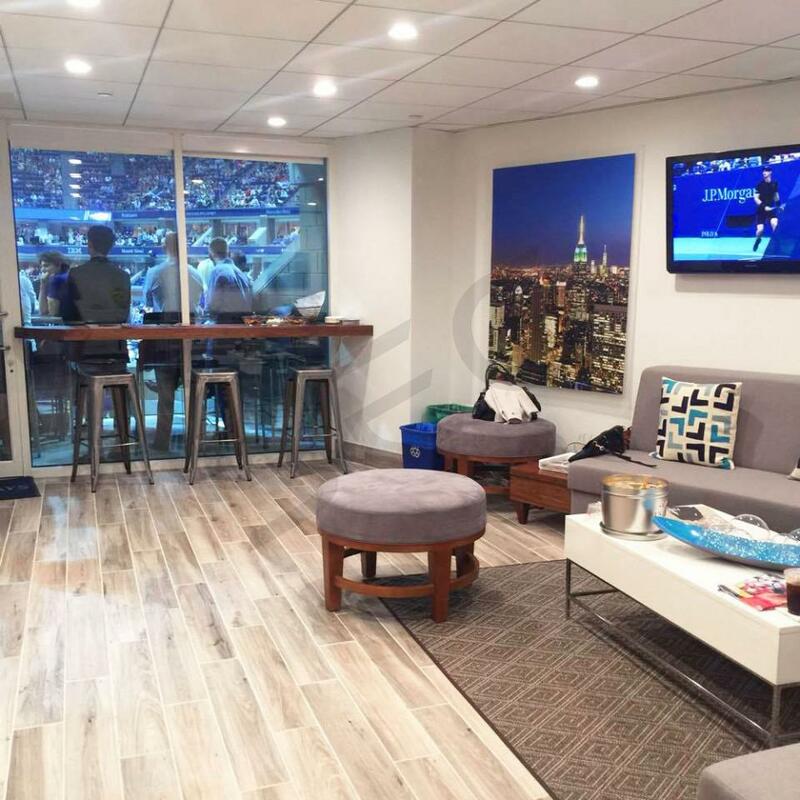 The US Open Tennis Championship is always at risk for rain and humidity, with a US Open Tennis suite you will be in a climate-controlled environment. Along with the US Open Tennis Championship luxury box, guests will have exclusive access to Arthur Ashe Stadium lounges. Thank you for signing up for specials at Arthur Ashe Stadium. Enter your email address below to stay in touch. We'll sign you up for our newsletter, which will inform you of the latest inventory and events at Arthur Ashe Stadium. We promise we will never sell or distribute your information. 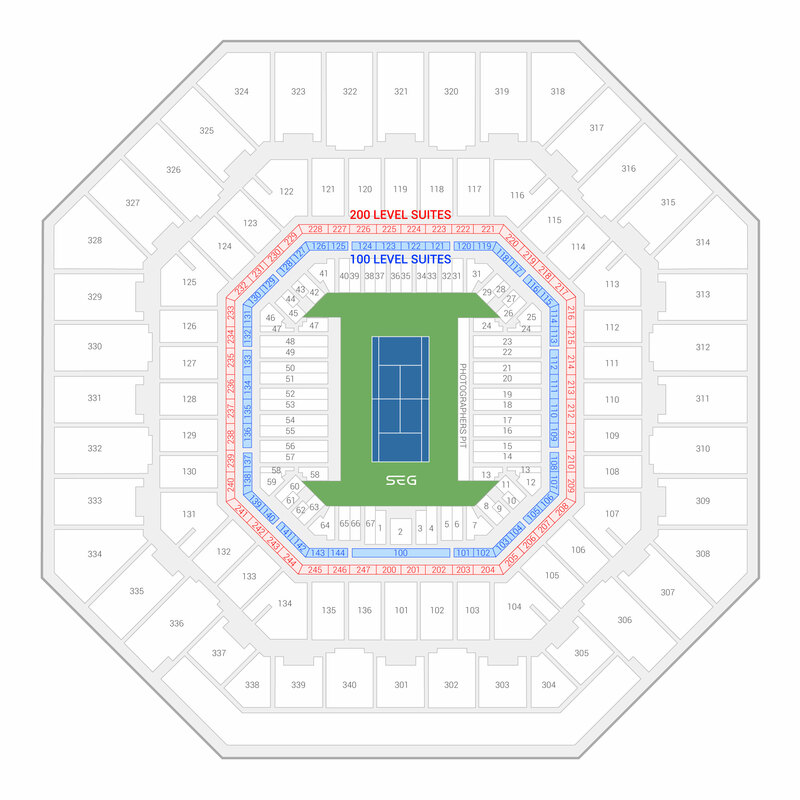 The seating chart below shows where the US Open Tennis Championship suites at Arthur Ashe Stadium are located.